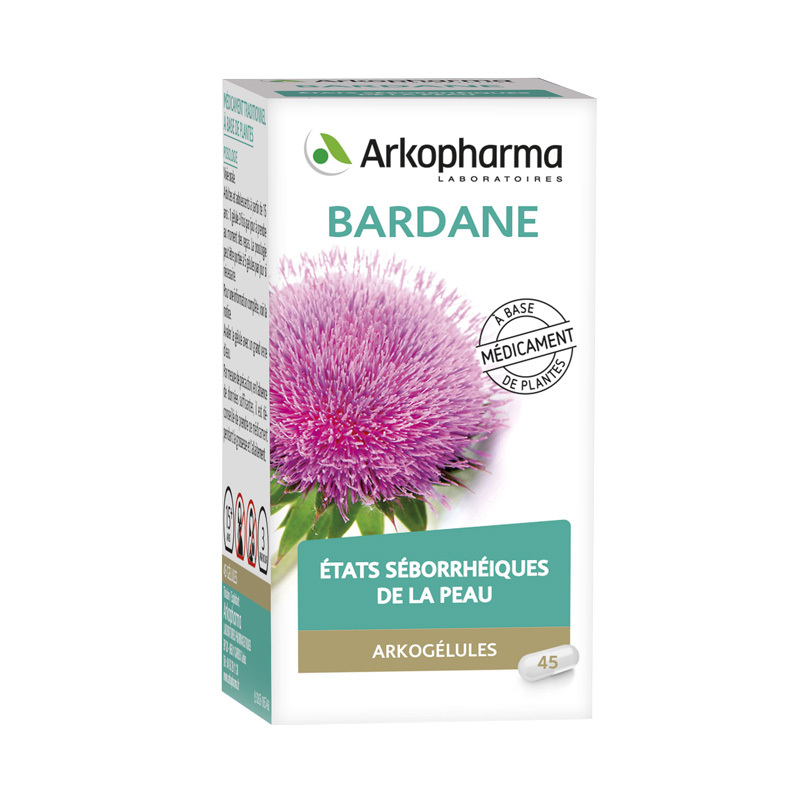 The OIL ARKOCAPS, food supplement traditionally used to facilitate the functions of elimination from the body and seborrheic conditions of the skin (oily skin). Burdock is traditionally used to facilitate removal of the body and seborrheic conditions of the skin (oily skin) functions. Take 1 capsule morning, noon and evening before meals with a full glass of water. Important information for your treatment. • If you need more information and advice, please contact your pharmacist. Great Burdock (root): 350 mg / capsule powder titrated total at least 25% inulin. Excipients: corn starch, magnesium stearate. 2 - WHEN TO USE THIS MEDICINE? IF IN DOUBT, DO NOT RELUCTANT ASK YOUR DOCTOR OR PHARMACIST. ANY OTHER PROCESSING YOUR DOCTOR OR PHARMACIST. ASK YOUR DOCTOR OR PHARMACIST BEFORE USING ANY DRUG. 4 - HOW TO USE THIS MEDICINE? 1 capsule morning, noon and evening to take before meals. Orally. Swallow the capsule with a full glass of water. NOT MENTIONED IN THIS NOTICE. Keep away from moisture and at a temperature below 25 ° C.